Our program is interdisciplinary at its core, exploring the ground where science, history, literature, and art meet. 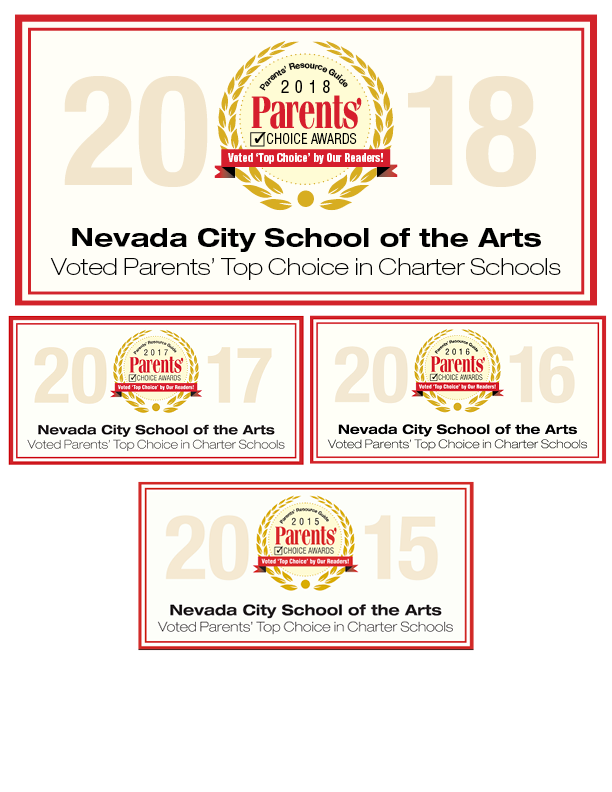 The arts distinguish education at NCSA. Discipline-Based Art Education provides a rigorous academic curriculum in which students have the opportunity to create art, understand its cultural and historical context, and respond to and make critical judgments about art. In this setting two tenets are important: art is a lens through which we see the world; and the production of art has inherent value. The School of the Arts is not an " Art School" in the sense that it does not solely produce or attract "artists." There are many students here who do not identify themselves as "artists" or even as "artistic," but who are nonetheless expressing themselves through the arts, and who are comprehending their academic studies through artistic expression, be it story, dance, painting, fiber arts, martial arts, musical composition, or video production. Curriculum planning, instruction, and assessment at NCSA are guided by two models: Dimensions of Learning and Discipline-Based Art Education. Dimensions of Learning is a model of classroom instruction based on over 30 years of research in the learning process. In this model, learning involves the interaction of five dimensions of thinking. Classroom instruction promotes and develops these dimensions so that students become constructive learners with enhanced capacity to take responsibility for their own learning and assess their own growth. Instruction focuses on large, interdisciplinary curricular themes including explicit teaching of higher-level thinking, perceptions, and mental habits that facilitate learning. The ultimate goal is for students to become independent learners who have developed the ability to continue to learn throughout their lives. We strive to develop a sense of independence, responsibility, respect, and stewardship in each student. As the students grow, their sense of self is expanded in the context of the school community and an ever-widening understanding of the communities to which they belong. Science studies are incorporated into every discipline and address four thinking skills: observation, comparison, organization, and relation. Students are encouraged to develop their own strategies of thinking, in addition to working from specific models. The science program also includes environmental studies, making use of our ecologically diverse site for observation and direct fieldwork. By the end of 8th grade, students will demonstrate an ability to use the scientific method to investigate a scientific question. They will critically evaluate data based upon sound scientific processes and knowledge. Students will have grade level general knowledge in the areas of earth, physical and life science. Students will demonstrate an appreciation for environmental issues. Math instruction follows the California state standards. These standards provide a guide to developing an understanding of arithmetic, mathematical concepts, and problem solving strategies. Beginning at the end of 5th grade, and again at the end of each subsequent year, students are assessed for placement in the appropriate math class, including pre-algebra, and high school level algebra or geometry. By the end of 8th grade, students will be able to reason logically and understand mathematical concepts in the abstract and in the real world. Students will apply mathematical skills to problem solving in the areas of number sense, algebra and functions, measurement and geometry, statistics, data analysis and probability. Language Arts are integrated into all areas of curriculum. Students learn to present ideas orally and in writing in math, science, social studies, learning that language is a vital means for communicating ideas, information values, and experiences. Good literature is also at the core of the language arts curriculum and often has a direct connection to other areas of study, particularly social studies. By the end of 8th grade, students will be able to comprehend and analyze diverse literature from each genre including fiction, poetry and drama, and will demonstrate proficiency in personal, narrative and expository writing.